Come join us for great roller skating fun on our hardwood maple skating floor! 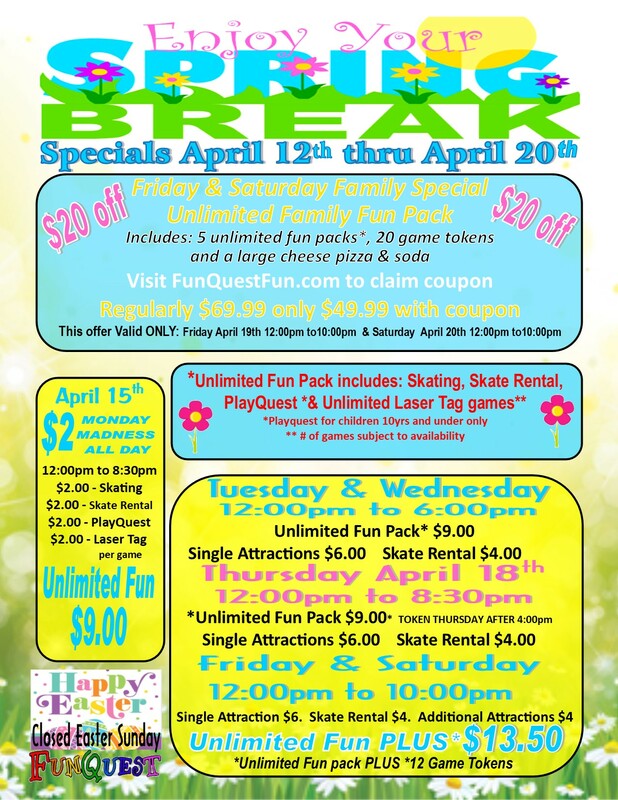 Roller Skating at FunQuest is fun for the entire family! Join our Laser Force as we transport you to our Galactic Arena. Everyone will have a blast playing Laser Tag at FunQuest. Our playground accommodates toddlers and children under the age of 10. Children love our playground! After you play some games and win lots of tickets, bring them on over to the Stuff Shop and redeem them on fun prizes. Funquest’s Arcade has Games Galore and prizes too! Win tickets and redeem them for prizes over at The Stuff Shop. FunQuest has a party package for Every Budget! Pick one of our amazing birthday packages for your next Birthday Party! 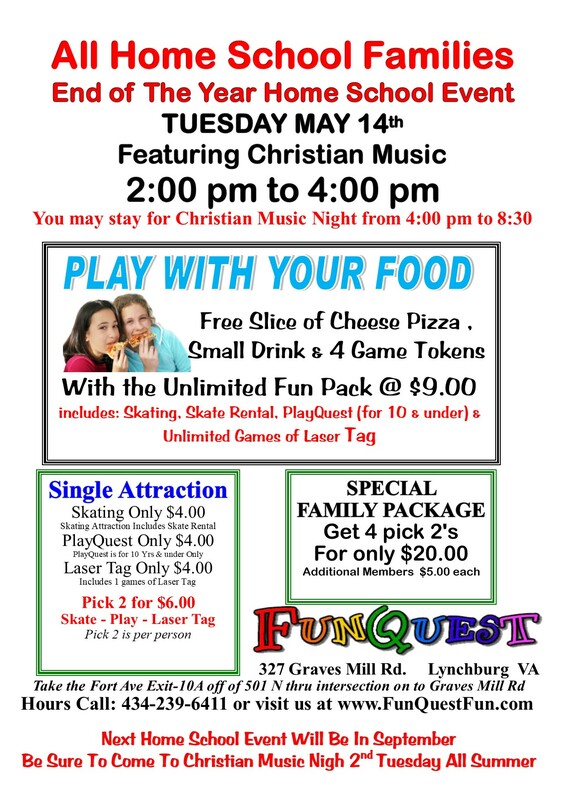 FunQuest is the #1 place in Lynchburg VA to bring your entire family. We offer more choices for more fun for all ages. Roller skating is great fun for all ages with special day times just for pre-school to our Adult only night. FunQuest features the area largest indoor playground “PlayQuest”. Our playground is a soft play unit that has visibility for parents to keep a safe eye on their little ones at all times. Our unit is not your ordinary ball pit with tubes, it is an interactive play area filled with bouncy floors, challenge path, large slide, swing and challenging crawl through areas. Our multi-level Laser Tag arena is fun for entire family. You will become part of the game when you suit up in one of our Zone Laser Tag vest and step into our special area. When its time for a break you can enjoy great made pizzas, hot dogs, hamburgers, fries, nachos and a cold refreshing drink from our FunQuest café. You never have to worry about the weather FunQuest’s activities are all indoors.